Applications for new ASA Student Council Representatives serving a number of Technical Committees are currently open. The deadline for submitting an application is March 1, 2019. Serving as a Student Council Representative is a great opportunity to become more involved in the ASA! 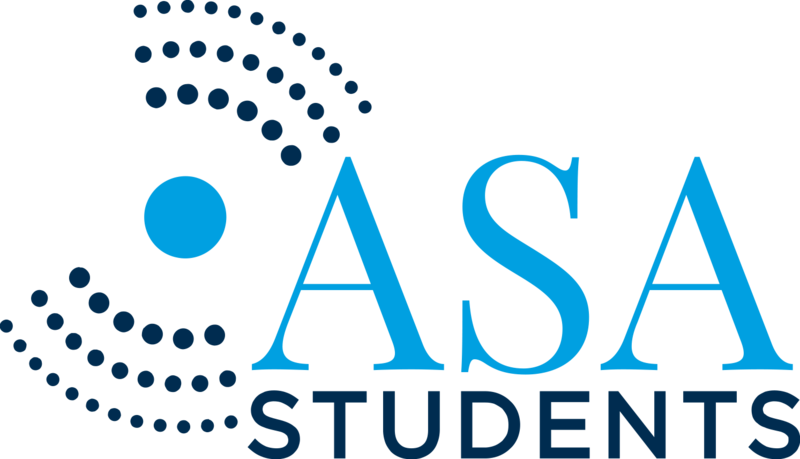 Student Council members organize events for students attending ASA conferences, help plan special sessions and outreach events, and represent student members of the ASA at official functions. More information about what the Student Council does and who were are can be found on the About the Student Council page. More information is available on our Join the Student Council page about the obligations and benefits of being a Student Council member. Applications for new representatives to the ASA Student Council from the Technical Committees on Acoustical Oceanography (AO), Architectural Acoustics (AA), Musical Acoustics (MU), Noise (NS), Physical Acoustics (PA), and Signal Processing (SP) are now being accepted. Appointment to the Student Council for selected applicants from the AA, AO, and NS Technical Committees will begin immediately following the spring meeting in Louisville, KY in May 2019. Appointment for the remaining applicants (MU, PA, and SP) will begin immediately following the fall meeting in San Diego, CA December 2019. These terms will end immediately following either the spring 2020 meeting in Chicago, IL (Technical Committee on Noise), the spring 2021 meeting (for the AO and AA Technical Committees), or the fall 2021 meeting in Sydney, Australia (for the MU, PA, and SP Technical Committees). The location and dates of the spring 2021 meeting are still to be determined. Student Council appointments carry the possibility of renewal. See the ASA Student Council webpage for information about the Student Council and its activities. Locations of upcoming ASA meetings include San Diego, CA (2-6 December 2019), Chicago, IL (11-15 May 2020), Cancun, Mexico (9-13 November 2020), and Sydney, Australia (6-10 December 2021). Student Council representatives are expected to attend both the spring and fall meetings during their terms on the Student Council and will be reimbursed up to $750 USD for necessary expenses related to each ASA meeting attended. General responsibilities include serving as a conduit for information for students within their Technical Committee, attending Technical Committee meetings to report on student activities, promoting the interests of students in the Society, and developing student-related activities within the Society. Students interested in serving on the Student Council should be ASA student members, generally knowledgeable about the Society and its activities, and have attended at least one ASA meeting before applying. Preference will be given to graduate students, pursuing either a masters or doctoral degree. Students who are members of underrepresented groups are encouraged to apply. Applicants should submit their CVs in .pdf format via email to asa@acousticalsociety.org with the subject line: Application for Student Council Position. The CV should be no more than 3 pages. It should include a statement of interest describing your involvement in ASA, why you are interested in being a member of the ASA Student Council, and what you hope to accomplish. Please clearly state the Technical Committee for which you are applying. Additionally, the CV should also include information about your degree sought, expected date of graduation, additional ASA Technical Committee areas (if any), the number of ASA meetings you have attended, and your likelihood of ASA meeting attendance during the term of appointment for your Technical Committee on the Student Council. CVs must be received by March 1, 2019 for consideration for these positions. Applicants will be informed of the decision by March 29, 2019.